A boiler breakdown costs thousands of dollars to fix. Aside from hiring for a boiler engineer and buying new components, there is also the cost of fixing property damages caused by the failure. 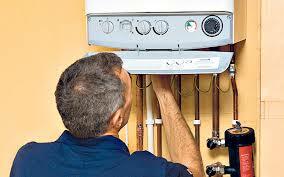 In order to save money on boiler repairs, it is recommended to have a regular boiler inspection. New boilers should be inspected annually. After the boiler installation, regular inspection should be scheduled to check the function and integrity of the machine. These inspections should be carried out by licensed individuals but here are some easy inspection tips that any homeowner can do. Test if all boiler controls such as low water cut off devices, thermometers, pressure controls, gauge glass and safety valves are functioning properly. These devices are essential in keeping the boiler safe. Look for any signs of overheating, rusting and scaling. Abnormal lumps in the machine are signs of excess pressure building up inside the boiler. Corrosion and scaling can affect a boiler’s performance. Scales create insulation that reduces the machine’s capacity to transfer heat. The presence of rust in the boiler tanks and pipes weakens the machine’s strength to handle stress and pressure. If the boiler displays any signs of corrosion or scaling, report it immediately for a boiler service or repair. Test all drains and blow offs to ensure that they are working properly. Check the fuel system for leaks and ensure that all fuel filters and strainers are free from any blockages and dirt. Shut off valves should also be leak tight. Inspect the tightness of each shut off valve. Open the boiler vent valve to release air and fill the boiler with treated water to its proper level. The expansion tank should be properly filled. Double check if the vent valves are operating as required and is free from any clogs. These clogs can impair the boiler’s operation. Next thing to check are the flame scanner and sensors and if they are properly connected and functioning. Check the settings of each device. Make sure that they are set correctly according to safety standards. Check for any leaks coming from the boiler or external pipes. Cracked surfaces should be immediately repaired.